The MCRN1 is an advanced NFC reader device and an optimal solution for companies searching after a professional solution. 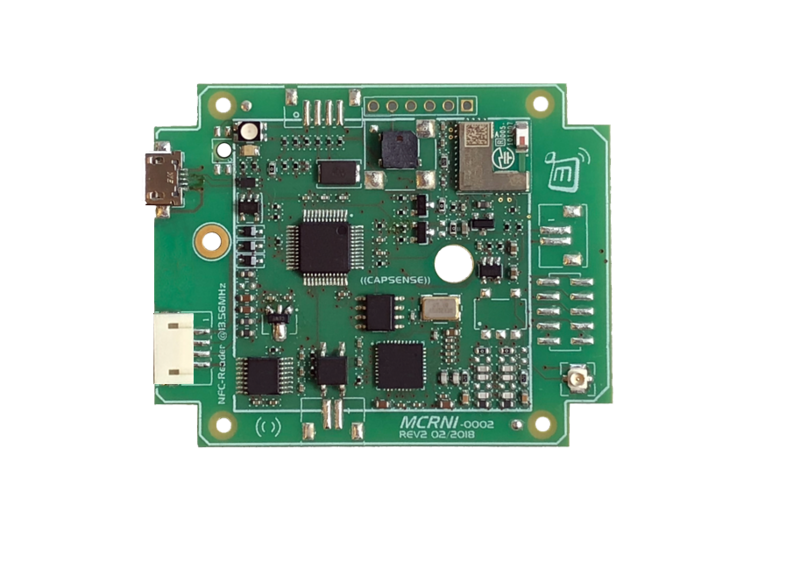 MCRN1 has different interfaces like Bluetooth® Smart BLE 4.1, USB and RS232 and offers different possibilities for the operation. For example a Smartphone can be used as NFC Tag for short distances or the Bluetooth interface for larger distances. Of course, the design and interface possibilities could be individually customized and adjusted to the needs in the application. Also possible is to equip MCRN1 with a WiFi Modem, in order to make operations worldwide. 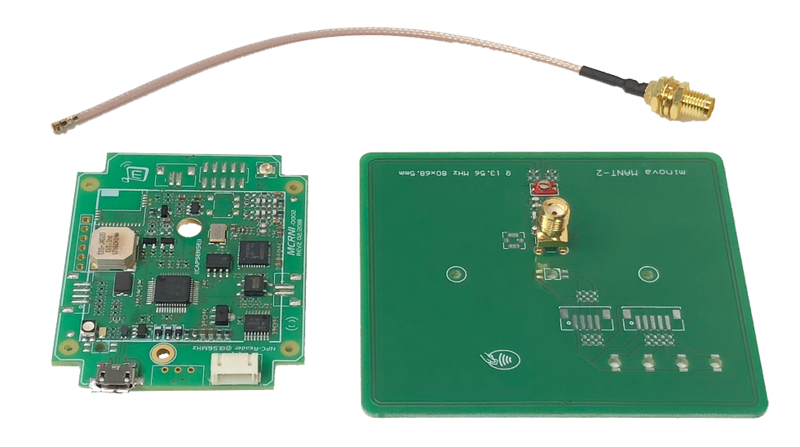 A powerful internal antenna can read tags up to 80mm distance. Different external 50 Ohm antennas with coaxial cable can be attached to the SMA or uFL connectors. 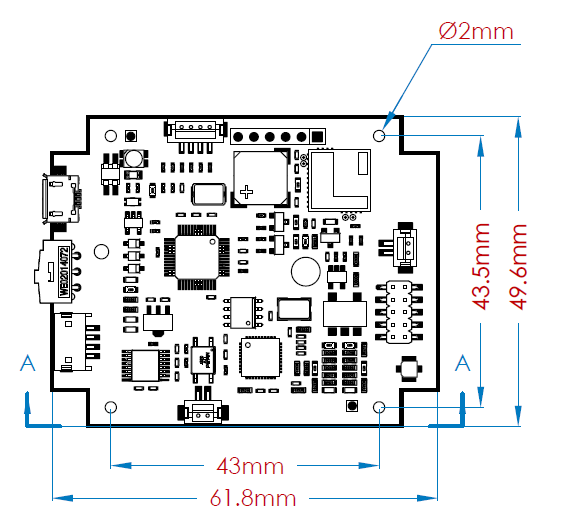 This offers the possibility to install the access control device in hidden areas and protect them against manipulation, as the user gets only access to the antenna surface. Different external 50 Ohm Antennas with coaxial cable can be attached to the SMA or uFL connectors. iOS/Android Apps and Windows configuration software are included in the SDK.